Grafton will look to bring home its first state championship ever, but the Indians will have their hands full with high-powered Hingham in the D3 title game. 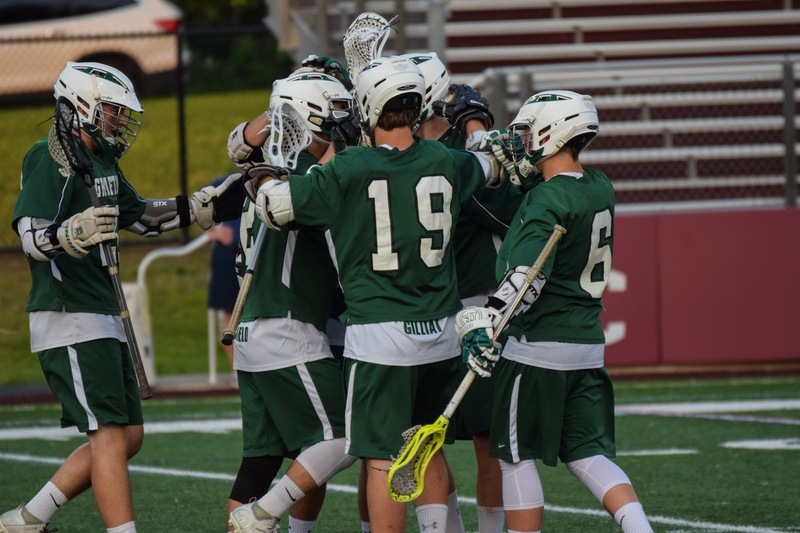 The championship breakfasts are over, Boston University's Nickerson Field is set, and six different boys' lacrosse teams from across Massachusetts are ready to play for state championships this Saturday. To prepare you, SuiteSports asked its editors and lead lacrosse reporters how they saw each game shaking out. Here is what they said. Joe Parello, Editor-in-Chief: Lincoln-Sudbury has won back-to-back state titles, and hasn't lost to a Massachusetts team since the Cretaceous Period, so obviously, the Warriors come in as the favorites. But don't concede this game so quickly, as BC High's defense, led by star Will Bowen, might be the only one in the state talented enough to hold L-S in check. Will it be enough? Hard to say, but picking against L-S is something I'm not ready to do (especially since I just moved to Sudbury). Nate Weitzer, Deputy Editor: While Lincoln-Sudbury is heavily favored, taking a loaded BC High team in a state finals rematch is not necessarily a huge upset. The Eagles are peaking at the right time with three of the best poles in the state in Will Bowen, Tommy Joyce and Jack Donahue holding down the defense, while Pat Bulger, Pat Jennings and Charlie Pyne can match scores with the Warriors' prolific offense. Sophomore Christian Price stepped up in a big way in the D1 South final last Wednesday, and we could see other unsung heroes make their name in a clash of titans. Mike Abelson, Correspondent: This game has been building all season, as it did last year, and it won't disappoint. Watching BC High's Will Bowen and Tommy Joyce match up with Lincoln-Sudbury's Jack Sutherland and Hayden Frey will be a treat. It'll be closer than last year, but L-S pulls the three-peat. Barely. Marisa Ingemi, Correspondent: The Warriors have dominated everyone in their path all season, and this game should be no different. BC High knocked off a very good Duxbury team, but just barely, and that Dragons squad fell 9-1 to LS. The Warriors just have too much. Parello: Since falling to Lincoln-Sudbury in early May, Longmeadow has rattled off 15 straight wins, and has looked as good as anyone in the state. Some might assume the Lancers have feasted on weak competition in the western part of the state, but when you look down the schedule and see wins over St. John's (Shrewsbury), Minnechaug, Westfield, D1 state semifinalist Duxbury and three-time defending D2 state champion Medfield, you have to be impressed. Longmeadow has a variety of players who can score, and is actually pretty young up front, but veteran pole Pat Abad can virtually consume your top offensive threat, freeing up the rest of the Lancer back line to wreak havoc. That will be a major concern for Hingham, but not one the Harbormen will lose sleep over. With an offense that has scored in the double-digits 23 times this season, Hingham could pressure the Lancers even more than Medfield did. It's also worth noting that Hingham defeated Longmeadow in the state semis last season, but each team has fallen short against Medfield in recent years. The Lancers ended Medfield's run, but can they complete the journey and top the Harbormen? Tough call, but I'll base it off a common opponent: Longmeadow beat Duxbury, Hingham didn't. Yeah, it's a cop-out. Weitzer: The Lancers were impressive in ending Medfield's run to the state finals, but Hingham is far more talented. That's not to say Keith Campbell and his players will be overmatched, but with Frankie Higgins dominating at the face-off X as the premier LSM in the state, Longmeadow won't be able to dominate possession like it did in the D2 semifinals against Medfield. Marc O'Rourke and Jack Hennessey are an elite attacking duo that should lead the Harbormen to glory. Abelson: Longmeadow is a very good lacrosse team. Its win over three-time defending champion Medfield in the state semifinal showed that in spades. The only problem for the Lancers is that Hingham isn't good, the Harbormen are dominant. Hingham been on a mission since losing to Duxbury on May 4th. It has won all 12 games since by a combined score of 193-55. Frankie Higgins is the X-factor for the Harbormen, and expect a massive game from him en route to the title for Hingham. Ingemi: Hingham has held its own with D1 opponents all season. While Longmeadow has been tough all year, the Harbormen might have the most balanced roster in the entire state, led by Marc O'Rourke and Frankie Higgins. Parello: Grafton exorcised some demons last week, defeating two-time defending state champion Dover-Sherborn in triple-overtime. That's significant, because the Indians have been to BU for this game the last two years, and D-S routed them both times. This year brings another rematch for Grafton, as the Indians topped Ipswich in the state semis two years ago in a double-overtime thriller. Meanwhile, Ipswich is coming off a tight win of its own, downing Hanover 11-10 in the state semifinals. This time around, look for another tight one, with Grafton's versatile and active defense pressuring Ipswich's high-powered attack. In the end, Grafton has been hear before, and the Indians did knock out the champs, so I'll go with the Central/West champs to bring home the first state championship in program history. Weitzer: Grafton has been a great story this season, and the Indians may feel like they're playing with house money at this point, but it's simply the Tigers' year. Kilian Morrissey, Charlie Gillis, Tommy Ginolfi and Duke Kriksceonaitis and defensive captain Tyler Starr lead a star-studded senior class that will look to bring the first state title back to Ipswich since 2003. Abelson: After getting blown out in the last two state finals by Dover-Sherborn, the Grafton Indians finally solved the Raiders in the state semis. Opposite them are the Ipswich Tigers. Ipswich has been on a historic run the last few years, and finally broke through to the state title game after a one-goal win over Hanover in the semifinals. Ipswich senior Kilian Morrissey may be the most underrated scorer in the state. It'll be close, but after getting past D-S, the Indians finally get it done. Ingemi: Ipswich got past a very good Hanover team, and won't have to face reigning champion Dover-Sherborn. While Grafton was impressive against the Raiders, Ipswich might have too much depth.